If a patient experiences mesothelioma symptoms, there are several tests and procedures to determine the cause. However, a mesothelioma specialist is not normally required to diagnose the disease. If you notice symptoms commonly associated with mesothelioma, contact a doctor immediately. People with a history of asbestos exposure are at risk of developing mesothelioma. However, not everyone who interacted with the mineral will end up with the rare cancer. Patients experiencing mesothelioma symptoms such as coughing, shortness of breath or chest pains should visit their doctor and explain the symptoms along with their asbestos exposure incidents. After seeing a physician, the diagnostic process determines the causes of these symptoms and a treatment plan. Imaging tests are used to locate tumors inside the body. An X-ray is almost always the first test conducted. If abnormalities are discovered, the doctor likely will perform another test. The most common tests are: a computed tomography (CT), positron emission tomography (PET); and magnetic resonance imaging (MRI) scan. According to the American Cancer Society, blood levels of specific substances (fibulin-3 and soluble mesothelin-related peptides) are higher in mesothelioma patients than they are in people without the cancer. While blood tests alone are not enough to diagnose mesothelioma, they can provide insight into the potential of the disease’s presence and show how well vital organs are reacting to treatment. Once imaging and blood marker tests indicate the likelihood of someone having cancer, the doctor will refer the patient to a surgeon for a biopsy. A biopsy involves taking a tissue or fluid sample from a tumor or its surrounding area. These samples are examined under a microscope to determine cell type and is the only way to definitively diagnose mesothelioma. Imaging tests are the first step in diagnosing mesothelioma. These tests show the presence of abnormalities. This helps doctors know the tumor location, size and level of advancement. Each imaging test has its own purpose and helps doctors make an accurate diagnosis. X-ray – An X-ray provides a two-dimensional image of the patient and can show fluid buildup. CT scan – CT scans are three-dimensional imaging tests that provide more detailed images of anomalies found by X-rays. PET scan – PET scans involve radioactive sugar inserted into the blood for cancerous cells to absorb. A special camera then sends a picture of the radioactive energy within the body back to the medical team and provides real-time footage of cancerous cells, if there are any, at work. This imaging scan is also useful in staging as it shows whether the tumor has spread to lymph nodes or other areas of the body. MRI scan – MRI scans create detailed images of soft tissue to find the exact location of a tumor or the extent of its spreading in the body. Echocardiogram – An echocardiogram is an ultrasound of the heart. Doctors may use this imaging scan if they suspect a patient has pericardial mesothelioma, which is a cancer along the membrane surrounding the heart. Blood and biomarker tests allow physicians to test the blood levels of a patient. While these tests are not usually used to diagnose mesothelioma, they can help monitor the efficacy of treatment. The levels of fibulin-3, cancerous antigen 125, osteopontin and soluble mesothelin-related peptides (SMRP) are commonly higher in mesothelioma patients than they are in people without the cancer. Doctors compare the levels of these substances in people who have mesothelioma to that of baseline levels, information which could impact future treatment. Some physicians use the Mesomark test which is a blood test used to monitor a patient’s SMRP level. When the SMRP level is higher than the baseline level or has not decreased since the last Mesomark test, it’s likely that treatment for the patient has not worked. However, if the SMRP level decreased since the most recent test, then doctors likely will continue with the treatment used to that point. A biopsy involves the extraction and examination of tissue or fluid from the body. By examining this sample, doctors can determine if cancer cells are present. This is the only way doctors can make a conclusive mesothelioma diagnosis. The histological makeup of the cancer can also be determined by examining the microscopic structure of the tissue. Certain cellular makeups respond differently to different treatment plans. There are also different types of biopsies, such as surgical biopsies or needle biopsies. Thoracotomy – This procedure is a traditional biopsy of the chest cavity, which is useful for a pleural mesothelioma diagnosis. Surgeons can also get a firsthand look at the disease. Laparotomy – This procedure is a traditional biopsy of the abdominal cavity, which is useful for a peritoneal mesothelioma diagnosis. This biopsy procedure also allows surgeons a firsthand look at the disease. Thoracoscopy – A thoracoscopy is an alternative chest biopsy for a pleural mesothelioma diagnosis. This method uses a camera. Laparoscopy – A laparoscopy is an alternative abdominal biopsy for a peritoneal mesothelioma diagnosis. The biopsy also uses a camera. Mediastinoscopy – A mediastinoscopy examines the mediastinum, which is the space in the middle of the chest behind the breastbone and between the lungs. This procedure can be used in place of a thoracoscopy depending on the location of the tumor. Non-surgical biopsies take built-up fluid samples from the lungs, abdomen or heart. Doctors use a needle to extract the fluid and examine it for the presence of mesothelioma cells. If cancer exists, the fluid may also determine the type of cancer. This method is less invasive than surgical biopsies, but it is not as conclusive and does not allow doctors a firsthand look at the tumor. After a patient undergoes a biopsy, the next step is finding out if cancer is present and, if so, the type. Histopathology and cytology reports help doctors study the tissue (histopathology) or fluid (cytology) obtained from the biopsy. Due to mesothelioma’s rarity, many doctors have not encountered the cancer. This results in a high percentage of misdiagnosis when compared to other cancers. It is commonly misdiagnosed because the symptoms are typical to illnesses such as the common cold, flu and pneumonia. 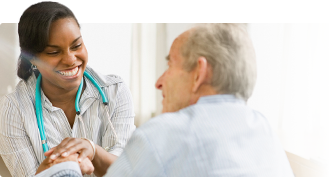 To prevent misdiagnosis, patients should seek a second opinion from a doctor or contact a mesothelioma specialist. Misdiagnosis also occurs in two other ways. Pathologists with limited or no experience in distinguishing cancer types may mistake mesothelioma for other lung or abdominal-region cancers. Even if a patient has a history of asbestos exposure along with the symptoms of mesothelioma, their doctor may say the patient does not have mesothelioma. If this occurs, the patient should consider getting a second opinion. Mesothelioma is also often staged incorrectly, resulting in limited treatment options for patients. Multi-year survivor Alexis Kidd was almost diagnosed with a terminal prognosis until seeing additional specialists. They revealed that her mesothelioma diagnosis was treatable. She was initially staged at Stage 4. However, the team of doctors determined it was not Stage 4 and that her case was unusual. This change opened up new treatment options. Since mesothelioma is such a unique illness, many doctors don’t have the experience needed to treat it. Alexis Kidd received a mesothelioma diagnosis and followed up with a second opinion. She put herself in a better position by staying on top of her own health care and requiring confirmation from a specialist. Take control of your health care and get a second opinion from a specialist by using our free Doctor Match program. Most veterans will see a general oncologist within the Veterans Affairs (VA) system first. Since these doctors aren’t experienced in distinguishing mesothelioma from other diseases, it is important that veterans using the VA get a second opinion from a mesothelioma specialist. A general oncologist may consider a veteran’s disease to be inoperable or suggest the wrong treatment because of a lack of experience with mesothelioma. Many times, once a veteran sees a specialist, they learn they are eligible for more treatments than they previously thought. Additionally, there are two top mesothelioma treatment centers in the VA health system that rival the best treatment centers in the country. These centers are located at the Boston VA and Los Angeles VA and led by leading mesothelioma specialists Dr. Avi Lebenthal and Dr. Robert Cameron, respectively. After doctors have confirmed a diagnosis of mesothelioma, they create a treatment plan for the patient. This mesothelioma treatment plan is tailored to each patient and their unique diagnosis. Surgery is usually used in patients with early stage mesothelioma. Even if a patient has late-stage mesothelioma, the surgeon may feel confident they can remove all of the cancer without any life-threatening side effects. One major issue with surgery for late-stage mesothelioma patients is the tumor has likely spread beyond the point of origin and to other vital organs. Attempting to remove the tumor in this scenario would require removing the affected organs, which is not doable. Chemotherapy and radiation are also common treatment options. Multimodal treatment plan involves multiple types of treatment methods and has shown promising results. In most cases where a mesothelioma patient survives beyond the expected prognosis, their treatment involved a combination of chemotherapy, radiation and surgery. 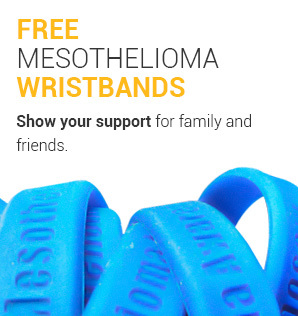 Learn more about how they beat the odds in our free Mesothelioma Survivor’s Guide. Tests for Malignant Mesothelioma. American Cancer Society. Retrieved from: https://www.cancer.org/cancer/malignant-mesothelioma/detection-diagnosis-staging/how-diagnosed.html. Accessed: 04/10/19. Types of biopsies used to look for cancer. American Cancer Society. Retrieved from: https://www.cancer.org/treatment/understanding-your-diagnosis/tests/testing-biopsy-and-cytology-specimens-for-cancer/biopsy-types.html. Accessed: 04/10/19. How is Mesothelioma Diagnosed?. American Cancer Society. Retrieved from: https://www.cancer.org/cancer/malignantmesothelioma/detailedguide/malignant-mesothelioma-diagnosed. Accessed: 10/10/18. Pathology Reports. National Cancer Institute. Retrieved from: https://www.cancer.gov/about-cancer/diagnosis-staging/diagnosis/pathology-reports-fact-sheet. Accessed: 04/10/19. Harvey Pass, MD, Mary Hesdorffer, NP, Sarah Elizabeth Lake, Sarah Ann Lake. (2014). 100 Questions & Answers. Jones & Bartlett Learning. Last Edited: April 16, 2019.